Any company with five or more employees is legally required to have a written Health & Safety Policy that is ‘fit for purpose’. Having a fit for purpose policy in place may also reduce your Employer’s Liability insurance premiums. Our qualified Health and Safety auditors will work with you to prepare all the documentation your business needs to ensure you are meeting all legal requirements. We will provide you with a Health and Safety policy, tailored to your business, and a Health and Safety manual, containing all the documentation and forms you will need. We can also carry out a full Health and Safety audit on your premises and activities, and provide a comprehensive list of recommendations to deal with any issues found. We can then carry out regular follow up visits to work with you to make sure that all the issues found have been resolved. All employers have a legal duty to carry out ‘suitable and sufficient’ assessments of the risks to health and safety that employees are exposed to whilst they are at work. This duty also applies to visitors, contractors, and anyone else who may be affected by the activities of the organisation. If you employ five or more people, your risk assessments must be recorded. We can provide you with any whatever level of support you require. One of our trained and qualified assessors can visit you to identify what assessments need to be carried out. We can then complete the assessments for you and provide a comprehensive list of any control measures you may need to put in place to reduce the likelihood and/or consequences of the hazards in your workplace occurring. We can then carry out regular follow up visits to work with you to make sure that any issues found have been resolved. Alternatively, if you prefer, we can provide you with all the training, guidance and qualifications you need in order to carry out your own risk assessments. Under the Regulatory Reform (Fire Safety) Order 2005, all businesses are required to conduct a Fire Risk Assessment (FRA), and you must keep a written record of your FRA if your business has 5 or more people. A good FRA will help to reduce the likelihood of a fire, and reduce the risk of injury to your staff and the potential loss of stock, equipment and premises. One of our trained and qualified fire risk assessors will visit your premises and carry out the assessment. We will provide you with a full assessment report, including a list of any areas of concern and an action plan to help in the implementation of any measures you may need to take. We will also provide you with a fire safety policy tailored to your business, an emergency plan and a logbook, which is used to record the results of tests and maintenance on fire safety equipment. 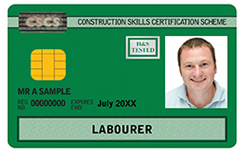 When your premises are found to be compliant, we will issue you with a certificate, valid for 12 months. Following the assessment, if necessary we can carry out regular follow up visits to work with you to make sure that any issues found have been resolved. Finally, as part of the package, we can arrange and carry out any necessary testing and maintenance of your fire alarm system, including testing of fire extinguishers and other fire fighting equipment. If any new or replacement equipment is needed to achieve compliance, we can arrange for this to be provided. However, we do not sell fire extinguishers, or other fire safety products, and you will not receive any sales calls from us. Many organisations, including over 120 Local authorities, now require their suppliers to be EXOR accredited. EXOR do not accept accreditation applications completed entirely on your behalf by third party consultants such as PIP. However, we can advise you on the standards and processes that you will need to have in place to satisfy the requirements of the auditor that EXOR will assign to you. We can also assist you with identifying any areas of your business that may not meet the requirements of EXOR, and developing and implementing any new systems and processes necessary. We will work with you to ensure your application is accepted. We work on a fixed price basis – should your application not be successful at the first attempt, you will not receive any extra fees or charges for any additional work that may be required to ensure your successful registration. Need Help Getting CHAS Registered??? Achieving CHAS compliance and accreditation for your business demonstrates that you have adequate Health and Safety arrangements in place, and that you are compliant with the relevant Health and Safety legislation. This will enable you win work that you otherwise wouldn’t be able too. You will work with our specialist consultants to ensure your application is accepted and we will take all the hassle away. We work on a fixed price basis – should your application not be successful at the first attempt for any reason, you will not receive any extra fees or charges for any additional work that may be required to ensure your successful registration. Under the Regulatory reform (Fire Safety) Order 2005, your fire detection system must be ‘suitable and sufficient, and suitable portable fire fighting equipment must be provided. We can test and service your detection and alarm system, and service and maintain your fire extinguishers. Our staff are fully qualified and insured to ensure that you receive a top quality service. All our professional services packages are tailored to your particular requirements, but whichever package you choose, our trained and qualified advisors are available Monday to Friday, 9.00am to 5.00pm on 0800 111 6303, to help with any questions you may have. You can also email us at any time, at info@piptfw.co.uk. We aim to answer all emails within one working day. With recent changes in legislation, it is becoming more and more common for customers to require a full tender to be submitted before contracts are awarded. We can provide as much or as little support as you need with this process, from general advice to completing and submitting a tender on your behalf.